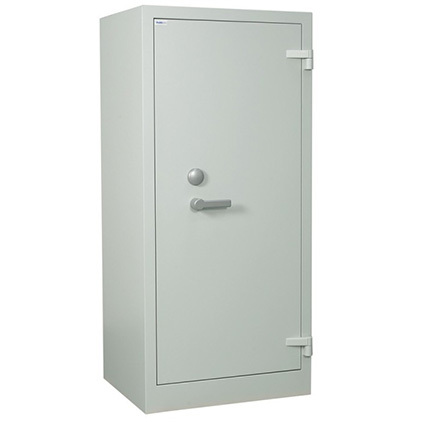 Fireproof cabinets and safes are some of Guardwell’s top supplied products nationwide. 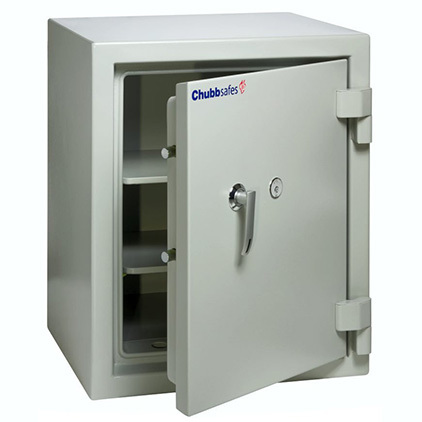 Guardwell stocks all top brands like Chubbsafes, Rosengren, Guardian, Kardex and Phoenix fireproof cabinets. This ensures that Guardwell customers have the best choice and value available for their needs. Guardwell can survey, supply, install, relocate or remove all fire cabinets from any floor. 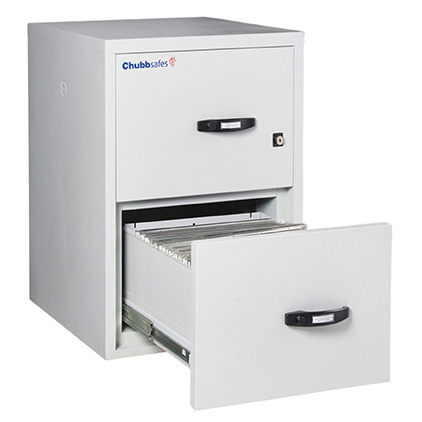 The fireproof cabinets and safes are popular solutions for solicitors, accountants, credit unions and anybody with important paper documents or other valuables. The main fireproof cabinets are 4 drawer units (4dr), double door fireproof cabinets and single door fireproof cabinets. Guardwell stocks 30mins, 60mins, 90mins, 120mins cabinets so all needs are catered for. For domestic / home fireproof cabinets, we have smaller 2 drawers (2 dr) cabinets and small 60 minutes or 30 minutes fireproof safes. These home fireproof safes can be operated by a high-security key lock or a high-security digital combination. For domestic solutions, a digital combination would be the most popular option. Guardwell can deliver all of its range of fireproof cabinets and fireproof safes nationwide and all come with a 2-year warranty. 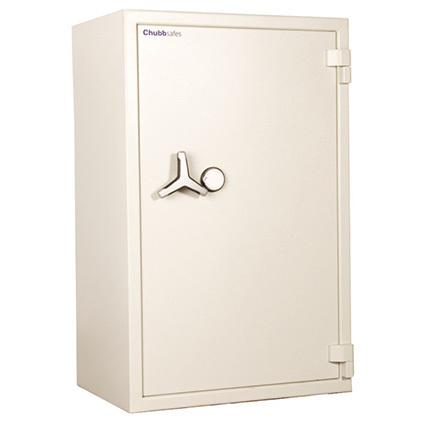 The Chubb 4dr cabinet comes in new, demo or pre-used models. Both demo and pre-used units come with a two-year warranty. The warranty for our fireproof cabinets guarantees customer satisfaction in a quality product. 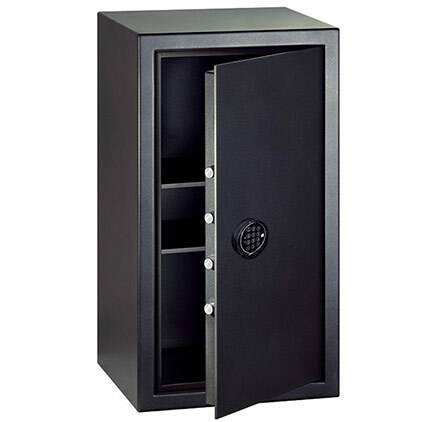 Guardwell has special prices every month for all of our cabinets and safes. All Guardwell fireproof cabinets are certified and tested to industry standards. All pre-used and demo model units are certified. All single door fireproof units and double door fireproof units can be fitted with different shelving options. Adjustable shelves, pull out shelves, pull out suspension files, data inserts and lateral filing systems can be installed as required. These solutions are ideal for getting full capacity from your fireproof cabinet. Call Guardwell today for our lowest prices on all stock items, they are ready to deliver. Call our Dublin Guardwell’s Team on: 086 388 3629 or Cork Guardwell’s Team on: (021) 487 7996 to see what specials are available.